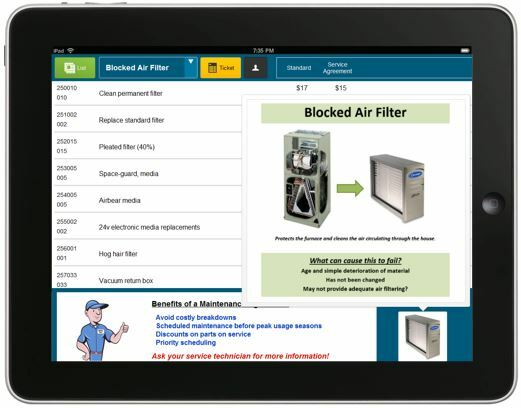 ProComHVAC is a powerful iPad-based selling system that is easy to set up, easy to use and provides a great customer experience. Your sales team will be able to quickly prepare a dynamic proposal for your customer in a Best-Better-Good-Base format. The presentation encourages your customer to stay involved and in control of the decision-making process. 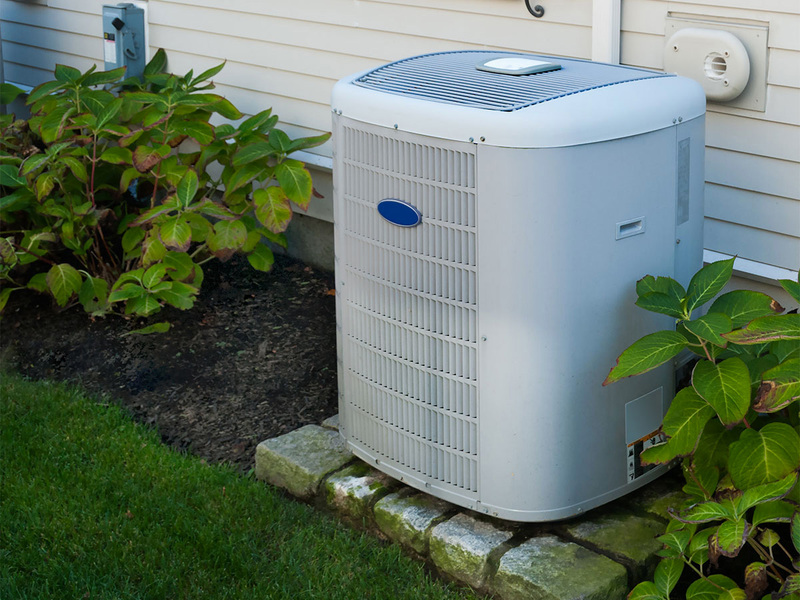 ProComHVAC helps you increase your closing rates and gross profit per sale. Capture all of your costs: including equipment, labor, warranty, promotion, commissions and install additions. Price your equipment to be both profitable and competitive in your marketplace. Add accessories to enhance your product offerings and increase your average sale. Quickly and accurately prepare a multi-option proposal for your customer. Present it to them in a high-tech, confidence-inspiring format. Encourage interaction and offer them choices that best address their comfort concerns and goals. Even the most tech-wary salesperson will find this program easy to use. The interface is graphical and intuitive. An internet connection is not required for use in the home. Price updates made at the home office can easily and quickly be pulled down to the field. Select equipment individually or from a pre-loaded set of matched systems. Build multi-zone systems with confidence. 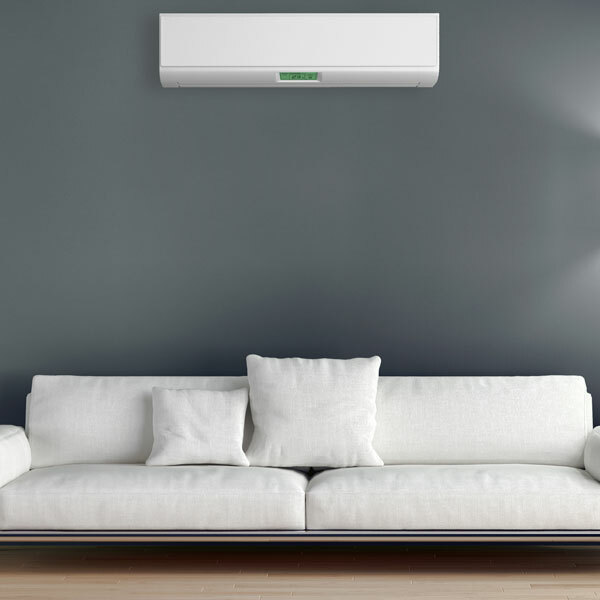 Easily add accessories for system enhancement and performance and items required for a professional installation. Flat rate pricing should be more than a way to simplify and standardize your service pricing. ProServHVAC helps you do that and much more. Establish your company’s credibility with a slide show. Involve the customer in the repair process with pictures of the parts needing repair and information about what it does and why it can fail. 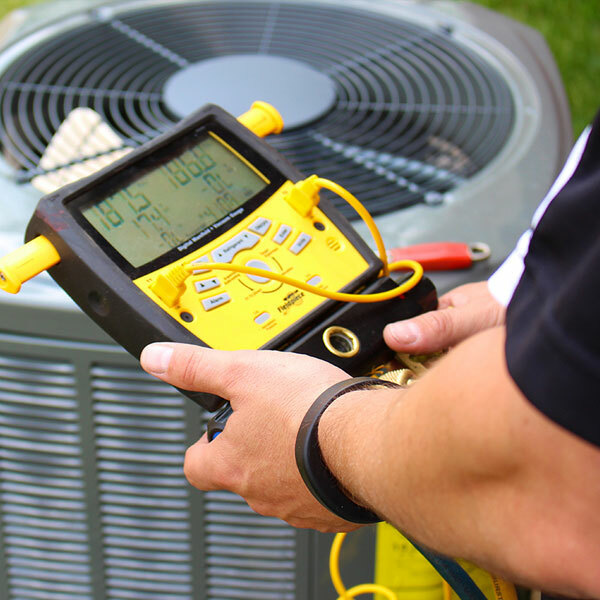 Show them the benefits and savings from signing up for a preventative maintenance agreement. Fully customized to Your Business. Brand with your logo. Include up to 5 columns of pricing. Use your titles, your labor rates, your costs, discounts and markups. Preloaded with 50 tasking groups and over 450 tasks. Use what you want. Add whatever you want. 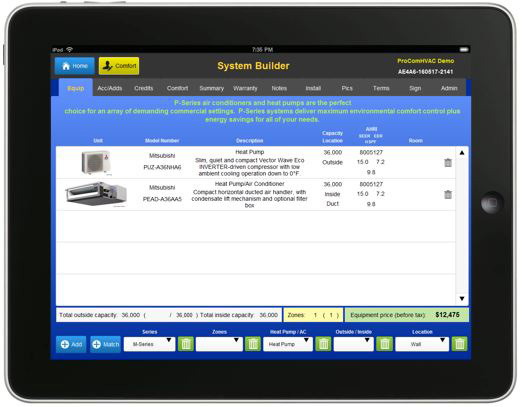 Easily look up prices on your iPad system instead of a ratty worn binder. 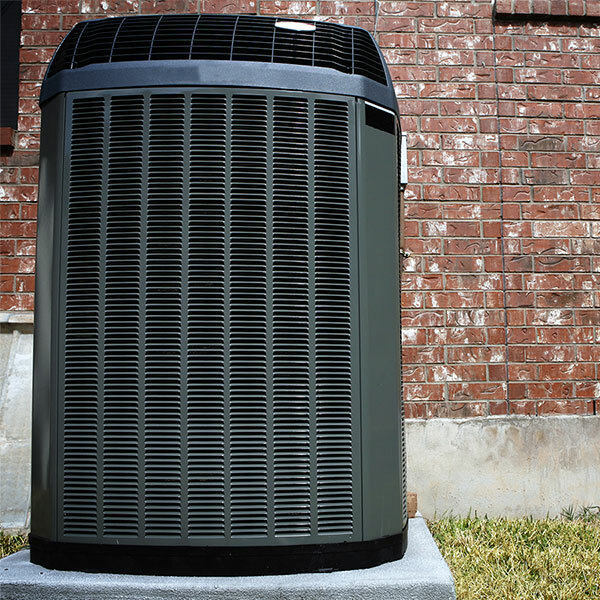 Involve the customer in the repair process with photos of their equipment and diagrams of the parts needing repair including information about what it does and why it can fail. Note recommended repairs that were declined. 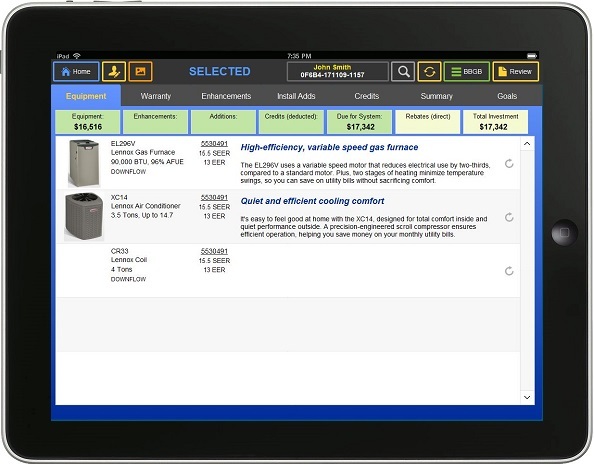 Show customers how much they saved from being a service agreement customer or how much they would have saved! Capture the customer’s signature right on the iPad and print or email a professional invoice with a copy back to the office.